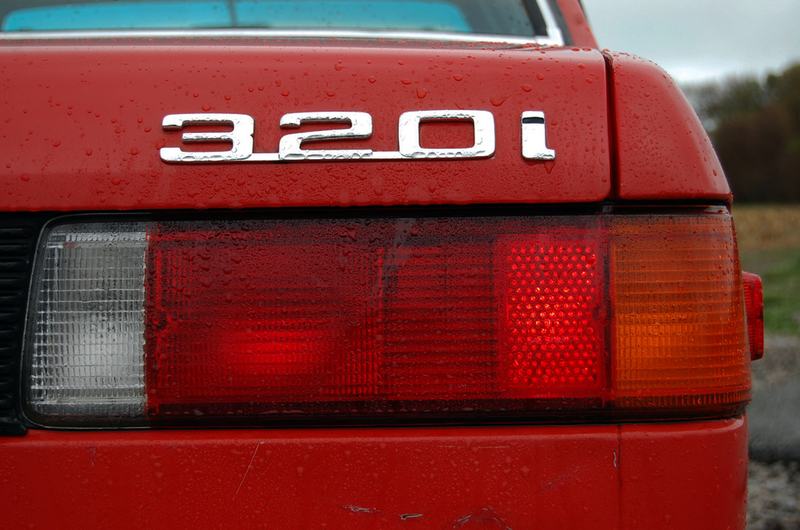 The 320i is part of the E21 family of BMWs, most commonly recognized as the first of the “3-Series” cars. The E21 was the replacement for the Neue Klasse series of cars, including the timeless“02” models such as the 1802 and 2002. 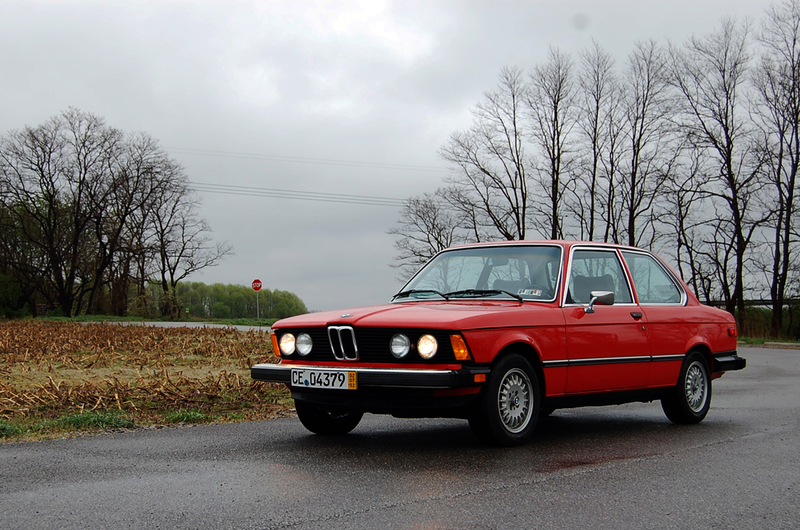 The E21 saw to BMWs entry into the important yuppie sector of the market and forever solidified its place there as a class leader. Fortunately, after a while, they ceased to be “cool” for about 10 to 20 years before reappearing as a forgotten classic. I will spare those of you reading this the analogy of a fine wine that has aged well, but you get the idea. Many cars from the late 1970s have forever disappeared and many people will bid them good riddance. The Chrysler Cordobas that the late Ricardo Montalban so enthusiastically applauded for its “soft Corinthian leather” comes to mind. The Europeans, on the other hand, were producing some genuinely decent cars that were not of the same physical scale and aesthetic echelon as WWII landing craft. A couple of weeks ago, I purchased a 1979 BMW 320i with just over 129,000 Km (approx 80,100 miles) on the odometer. (I state Kilometers as this car is technically of Canadian specification with instrumentation to match.) Logically, when one purchases a “new” car, they get something that actually left the factory later than the vehicle preceding it. However, I have to admit that I’ve ignored that philosophy. 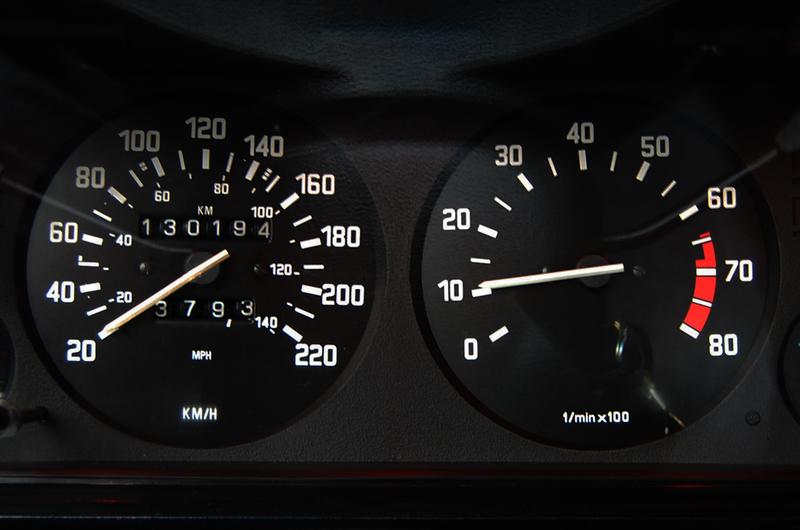 Canadian-spec speedometer: Odometer reading wouldn't be noteworthy for 33-year-old car if it were in miles, but it's kilometers. For about three years, my daily driver was a Volkswagen Golf GLS 1.8T of year 2000 vintage that had covered 215,600 miles (347,000 Km). It was pretty decent car all things considered. That, in spite of being a MK IV and having the issues so often associated with that particular generation of VW but that, of course, another story. Interestingly enough, I came across the 320i at the same local dealership from which my VW was purchased brand new. Major factors leading to my acquisition of a three-decades-old BMW as my primary mode of transport included the decision that I wanted something more interesting and exciting and I wanted something that would ultimately be reasonably affordable to buy and maintain. Granted, I didn’t really have a BMW in mind – nor one of this age – but it all looked like a good package. Having a car like this as a daily driver isn’t for everyone, but as a “car guy” and one who has a fair bit experience working with old Teutonic machines, I felt the choice was good for me. What this car has that makes it enjoyable is personality. Ironically, the automotive press damned these cars as being too clinical, sterile, and well, too German. I believe that time has made these cars more appreciable. The road manners benefit from the vehicle’s relative lightness, for example. Modern cars will forever suffer from significant heftiness as a result of increased gadgetry, luxury features, and safety equipment. No amount of suspension tuning, electrically assisted power steering, or advanced all-wheel-drive systems can serve as substitutes for a rear-wheel-drive sport coupe that’s nimble and doesn’t even have (or really need) power steering. So yes, parking requires more physical effort than a new car – but BMWs were always advertised as “The Ultimate Driving Machine” not “The Ultimate Parking Machine”. Classic BMW profile: Design was initiated by Paul Bracq but went into production under direction of Claus Luthe who was convicted of manslaughter. Alloy wheels from later E30 3-Series replace original steels. Daily commutes to work are entertaining when I find that turning into the on-ramp for the interstate, I’ve kicked the back end out a little like a Dachshund running on a linoleum floor. It’s just enough over steer to wake me up bit, but not so much as to be really scary. The McPherson front struts and semi-trailing arm independent rear suspension generally do a pretty good job of keeping the car well planted. As for the front disc and rear drum brakes, they work. Getting up to highway speeds takes a bit longer than most newer cars and requires manual input into a 4-speed Getrag gearbox. From 1976 at its introduction through 1979, a 2.0-liter (1990cc) version of BMW’s famous M10 4-cylinder engine powered the North American market 320i. It produces an adequate 110 horsepower and a few more ft/lbs in torque. Mid-range acceleration is actually rather good and a solid mash on the accelerator in 4th gear is generally all that’s required for a moderately swift pass. The first of the famous 3-series: 320i designates this model as displacing 2 liters while the "i" signifies Bosch K-jet fuel injection. The robust M10 engine's basic block would go on to be used in Formula 1 engines making over 1000 hp. Around 4000 rpm or roughly 75mph, the cockpit noise borders on downright loud, but you get used to it – like the drone of the Goodyear blimp hovering overhead. At speed, the car is typically German it the way that it cruises along. It has excellent high-speed responsiveness but the relatively long wheelbase for its size (just over 100 inches) means that it does not feel twitchy. The ride quality could perhaps best be described as comfortably firm. The interior also features many of the qualities favored by Northern Europeans including black plastic, large seats upholstered in acres of both smooth and basket-weave black vinyl, and grey thick-pile carpeting that may actually possess the ability to stop a 9mm bullet. At night, the instrumentation is illuminated by a dim red light that conjures scenes from Wolfgang Petersen’s 1981 classic Das Boot. 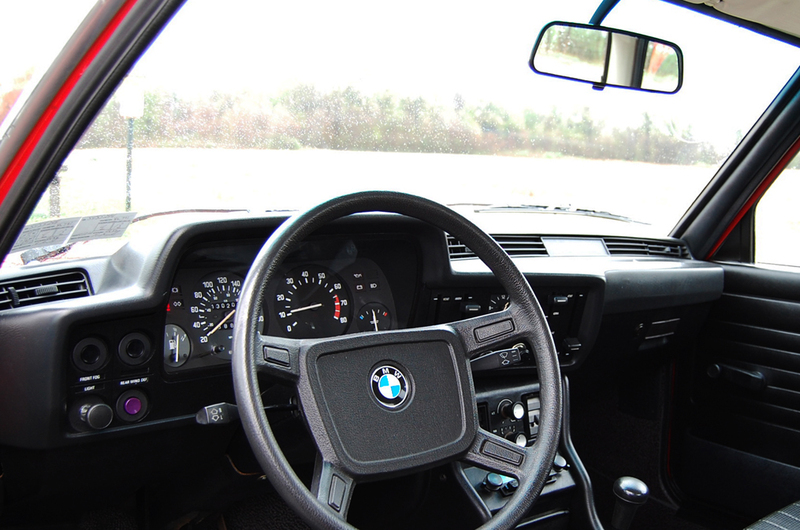 Unlike a U-boat, the BMW’s cockpit is actually quite open and airy with plenty of lighting and excellent visibility from the large glass area. Little features like the center mounted fresh air vents are a pleasant touch and for an older car, the ergonomics are surprisingly decent as well. Gratuitous use of rich Bavarian plastics. Like so many things in life, there are certain sacrifices that must be made when one does not follow the rest of the pack. For example, being forced to hold coffee cups between one’s legs while steering with both hands or shifting gears – Germans have always had an aversion to cup holders and BMW was one of the longest holdouts. Furthermore, it’s easy to forget the convenience of pressing a button to roll down windows or turning a switch to heat-up one’s posterior. Cruise control is how steady you can hold your ankle in place. As for gizmos like lane monitoring or back-up assist, the BMW has two rear-view mirrors (one exterior, one interior) and six windows. On the topic of these things, I must ask what is so wrong with doing some things for one’s self? Frankly the current trend away from human involvement in the driving experience is frightening. I have not owned this car long as of the time of writing this, but it has already brought more than one smile to my face. I spend a lot of time behind the wheel and the functional aspects of the machine are certainly appreciated, but other people seem to enjoy the car being around just as I enjoy driving it around. 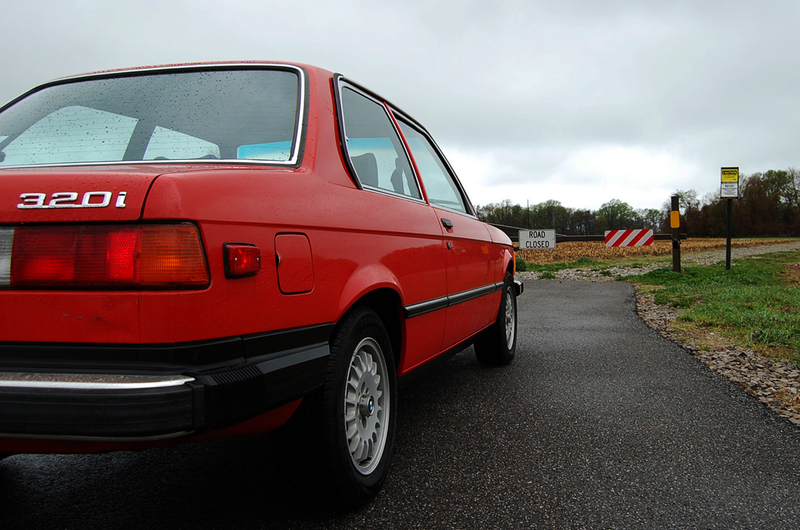 A few days ago at an intersection, a thirty-something fellow drove past me in my 320i with a newer 5-Series BMW. I could see him mouth out the word “look!” as he swung his index finger towards the right-hand side of his car – nearly de-oculating his female companion in the passenger seat. A couple days later, I parked my car in front of the grocery store. As I walked in, a young girl walking out with her mother exclaimed, “look at that old car – it’s so cute! 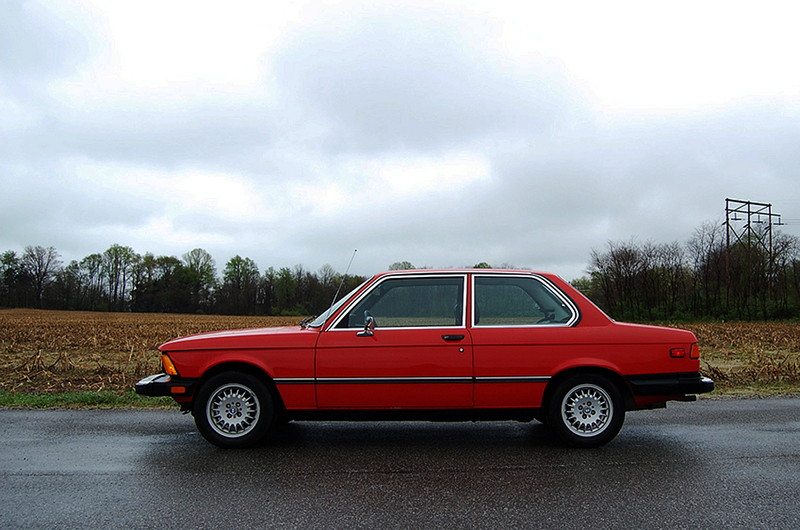 Oh cool, it’s a BMW!” Stopping at the gas station one day on my way to work, an older gentleman reminisced for a brief moment with me about the E21 he owned when he lived in Germany in the early 1980s. For the price of my 1979 BMW, I could have bought something a lot newer, more refined, maybe even more practical, but nobody smiles and stops to talk about the ’06 Corolla they once owned. I have the identical car except with a sports package and I believe the actual German design. I have had it since 1979 so I truly appreciate it. thanks for the information. I have a ’79 that is equivalent to the 320is, with the gold BBS’s, the 3 spoke steering wheel, recaros and bilstiens. It has only 70k miles and I’m adding a getrag 245/4. I own two 79 320I’s a love them. The 5 speed upgrade is a must as the freeway noise drops way down. In other cars your an add on, in a BMW your part of the car. I have much enjoyed reading these posts.. I have been in the market for a nice project car. The wife and I have moved to Washington State and I find myself with some time on my hands. Long story short. I have been on Craigs List for a long time looking for just the right car to tinker with. Put back on the road if you will. I have found a 1979 320i listed in Spokane. The story goes that a gentlemen bought this car new. Drove and loved it for several years. It had a slight front end encounter. Although the insurance company totaled it. He loved his car and kept it. Took it to the local Euro shop and had it totally put back together. He drove it on and off for a couple more years and then parked it in the garage. There is sits for 9 years. So, several Grandchildren later he decide to let it go. I have been in contact with him and have settled on a price. He is only selling it to me because of my love for BMWs. I have owned 3 in the past. He tells me that the car only has 100,000 miles on it and that the interior and exterior are in Stellar Condition. I have not seen the car in person. I will be picking it up next Sunday. I can’t Wait!!!! Like a kid in a candy store. I realize that I have a lot of work to do to it before I can even think about turning the key. Life is Good! I recently purchased a 1979 E21 320. This car was much loved and well maintained and cared for by it’s owner. According to his cousin who I bought it from (thank you Tim), the starter went out on her and soon thereafter the owner passed away (he was a certified mechanic). Tim took possession of the vehicle and completely drained the gas tank of fuel, changed the oil with full synthetic then stored it for two years. At this point the car already been painted (excellent expensive job). Body in nearly perfect. No rust anywhere that I can see, all glass and chrome is excellent. Interior is in good original condition.. I haven’t driven her yet, but I am installing the starter today (looks like they built the motor around starter lol). Can’t wait!! Hopefully she’ll be up and running today. She has 245k miles, but like I said, she was loved. You can tell when you look in the engine bay. Clutch feels good (4 speed manual) as well as the brakes. No leaks anywhere that I can see. Radio was ripped off but I have all the interior console panels in good condition. I wasn’t particularly looking for this vehicle, but it was love at first sight. Thanks for reading. Nigel. I recently purchased a 1979 E21 320i. This car was much loved and well maintained and cared for by it’s owner. According to his cousin who I bought it from (thank you Tim), the starter went out on her and soon thereafter the owner passed away (he was a certified mechanic). Tim took possession of the vehicle and completely drained the gas tank of fuel, changed the oil with full synthetic then stored it for two years. At this point the car already been painted (excellent expensive job). Body in nearly perfect. No rust anywhere that I can see, all glass and chrome is excellent. Interior is in good original condition.. I haven’t driven her yet, but I am installing the starter today (looks like they built the motor around starter lol). Can’t wait!! Hopefully she’ll be up and running today. She has 245k miles, but like I said, she was loved. You can tell when you look in the engine bay. Clutch feels good (4 speed manual) as well as the brakes. No leaks anywhere that I can see. Radio was ripped off but I have all the interior console panels in good condition. Has original BMW 13″ wheels. I wasn’t particularly looking for this vehicle, but it was love at first sight. Thanks for reading. Nigel.